About the Book: Alex Cave receives an urgent message about an unusual geologic event in Iceland. When he arrives, he sees two video recordings. The first is of large globules of glowing magma rising from a glacier. The second video, taken in the exact same place several days later, shows a deep tunnel below the ice. He is asked to investigate the strange phenomenon, and what he discovers at the bottom is an alien device more powerful than a nuclear weapon. Before Alex can retrieve it, the device is stolen and activated, but it cannot be turned off. It begins dragging satellites from orbit and threatens to bring down the International Space Station. When it begins changing the orbit of the moon, Alex and his friends begin a desperate race to find the device and shut it down before the tidal effect rips the planet apart. 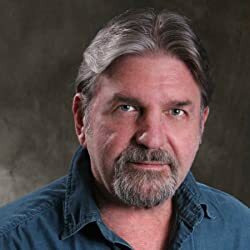 About the Author: James M. Corkill is a retired Federal Firefighter from the Naval Air Station on Whidbey Island in Washington State, USA. While he lived on the island, he was fortunate to meet a famous horror writer named Hugh B. Cave, who became his mentor. 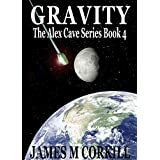 James' first novel, The Alex Cave Series, book 1, Dead Energy, was republished in 2013. His second book in the series, Cold Energy, was published in 2014. His third book in the series, Red Energy, was published in 2014. He is also a singer/songwriter, and has played guitar since he was fourteen. He now lives in the Appalachian Mountains of North Carolina. You can contact James through his website. 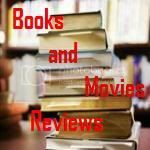 My Review: This is another brilliantly written story, sequel of Dead Energy, Cold Energy and Red Energy. If you thought that the story of our hero, an ex-CIA agent named Alex Cave, could not get better, you were completely wrong. The author keeps raising the bar, as if it was possible at all. In this episode, Alex Cave is invited into a meeting in Iceland where a very strange geological event is observed. Asked to investigate, he goes with his best friend Ocana. In their way they meet other explorers that are also trying to see what is causing the observed behavior. All indications lead to the conclusion of the existence of a device that when active can control gravity on objects placed directly above it. But the bad guys beet them and get the device first. While trying to retrieve the object that was activated and was causing major problems, Alex's new family is kidnapped and now, besides having to recover the device and save the world, he also needs to save his family. As usual, we can see that a lot of research was done by the author in order to create a very intelligent and believable plot. You will read the book on the edge of your seat. Every turn of a page brings more excitement and it is guaranteed that you will be entertained for hours. It took me about eight hours to read the whole book. I can hardly wait to read more Alex Cave's adventures! You definitely should try James Corkill's books. His intelligent plots are here to stay. I just wonder when his stories will attract someone in Hollywood so we will be able to enjoy all those actions in a big screen! If you read this review, feel free to leave a message.